Who invented the Ouija Board? The Ouija Board is an oracle device taken seriously by believers and used by others as a game for entertainment purposes. The Ouija Board, also referred to as a talking board, is a divination tool for those who seek answers and wish to communicate with spirits. Elijah J. Bond, an American, patented the oracle game in the late 1800’s. William Fuld then purchased the rights to the Ouija Board. It became popular when an interest in spiritualism grew after World War I. The thousands that bereaved their loved ones who had been killed in the war, wanted to find ways to communicate to them. Fascination with the occult expanded, as well as people’s need to understand and confirm life after death. The Ouija Board originates from French and German words, “yes,” oui and ja. It contains letters of the alphabet, numbers, the words “yes,” “no,” “goodbye” and mystical symbols as well. The user asks a question, and he or she and everyone else that is participating, places their fingertips on the pointer. This pointer spells out the answer to the user’s question. Arguments and debates have occurred as to whether the movements from the pointer comes from the actual spirit that is being contacted or if the users are manipulating it themselves. Many believe that the Ouija Board is simply a tool to connect them with spirits, while others believe that it is “Ideomotor action.” The idea that expectation or inclination will produce involuntary muscular movement or unconscious motor behavior. A term expressed by William Benjamin Carpenter in 1852. It is claimed that one should never use the Ouija board alone, in a cemetery or a place where an unnatural death has occurred. If the pointer (also known as the planchette) falls from a Ouija Board, a spirit will get loose. Also, if one finds the pointer moving in a figure eight, it means an evil spirit is in control. Some believe the Ouija Board to be dangerous and is a doorway to malevolent spirits. It is said that Ouija Boards are invitations for demonic possession and strong caution is urged to inexperienced users. These conceptions may be from misconstrued stories produced by the film industry and horror fiction. Those who do experiment with it are strongly encouraged not to mock the answers that are given or treat the game with disregard. 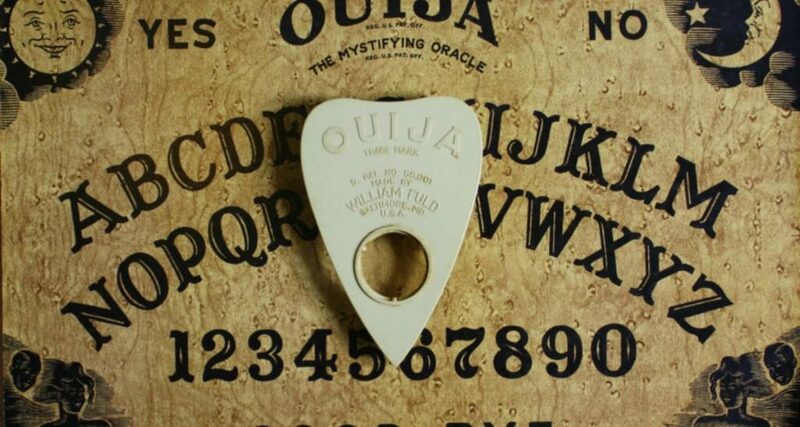 Parker Brothers, the game company, obtained the rights to the Ouija Board in 1966. The following year it sold over two million copies, outselling the previously bestselling game, Monopoly. Next PostWho invented Palm Reading?